Babette Greiner (NL), general manager of Tenso Network Europe, speaks with researcher Annette Mossel (AT) and researcher and developer Axel Röbel (FR) of IRCAM about new technological developments in making texts an integral part of the performance. Dr. Annette Mossel is a post-doctoral fellow at the Interactive Media Systems Group at Vienna University of Technology, and a past research fellow and student at the MIT Media Lab and the Fraunhofer Institute for Computer Graphics. She has 7 years of experience in Virtual and Augmented Reality, focusing on optical tracking in large physical environments and intuitive 3D human computer interaction. In 2011, she started combining her research in tracking with robotics to enable autonomous flight of unmanned aerial vehicles. She is a reviewer for a number of scientific conferences and journals, including IEEE Virtual Reality, 3DUI, Computer & Graphics and the International Symposium on Mixed and Augmented Reality (ISMAR), and a member at IEEE – Institute of Electrical and Electronics Engineers, GI – Gesellschaft für Informatik e.V., Germany and Amnesty International (ai). Besides sciences, she spends her time with music and being outdoors. She is the chairwoman of Coro Novo Mundo, a Brazilian-Austrian choir, sings in the choir of the University of Vienna and loves her foldable bike, snowboarding as well as sailing. 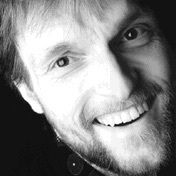 Axel Röbel (DE) is director of research at Ircam (FR) and the head of the Analysis/Synthesis research team. In his research he works on audio signal analysis, modeling, and transformation using especially frequency domain signal representations and the resulting sound processing libraries for voice and music transformation are used widely in professional audio processing software. In 2006, he was Edgard-Varèse guest professor for computer music at the Electronic studio of the Technical University of Berlin. Currently he is directing the research on Singing Synthesis at Ircam that is performed in the French national research project Chanter. Mentioned in Axel’s presentation : Antescofo, a software application that automatically recognizes music score position and tempo from a realtime audio stream coming from performer(s), making it possible to synchronize an instrumental performance with computer realized elements. 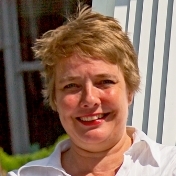 Babette Greiner (NL) works as freelance producer and project manager in music. Since 2009, she coordinates the activities of Tenso. Thanks to four consecutive subsidies from the EU Culture programme, the network was able to develop into a European platform which organizes many activities for singers, composers, conductors and other professionals. She also organizes other projects for young musicians, such as the Dutch Impro Academy. 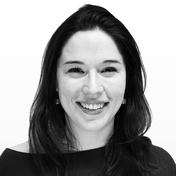 She teaches project management at the Royal Conservatoire in The Hague. Her professional career started as manager of an international research group at the University of Amsterdam, where she ran several international exchange projects for students and researchers. She received a master in Philosophy of Language and now studies musicology at the University of Amsterdam, where she hopes to get her master degree in 2018. Bob Dylan – from the documentary ‘Dont look back’: Dylan holding up words. Wolfgang : an app that provides members of the audience of a concert performance with additional, context-sensitive information. Chorusplay: an app that provides musicians and singers with live tracking of which piece of the score is currently played/sung.